On August 13th, 1940 the United States Government, certain they were about to be drawn into conflict with Japan and Germany, decided to conduct a dangerous experiment. They aggregated all the best attributes of human beings- speed, strength, courage, leadership- and attempted to create a Super Soldier who could turn the battle of the coming war. That Super Soldier was none other than…Steve Rogers, Captain America…beloved by all Americans. What few knew is that there was another born that day. All the leftover attributes congealed on a nearby countertop that became Larry Alan Fahrenkamp, beloved by Cadillac dealers, manufacturers of voice activated switches, concrete truck drivers, Home Depot, liquor store owners, and of course…family and legions of friends. A towering 5’10” of intimidating bow-leggedness, for 78 years Larry imprinted his indomitable will on his multiple businesses, his never-ending construction projects designed to defeat nature itself, and his family and friends. His greatest superpower may have been an uncanny knack to simply “will” his beloved Purdue Boilermakers to consistently disappoint him. With the aid of his ever-present sidekick/wife Shirley (Cook), the two shared a whirlwind of comic adventures for 60 years, leaving laughter, warmth, inspiration, a fair amount of destruction…and memories that would last for lifetimes. They started their journey as Noblesville Miller’s where Larry proudly wore the ’56 & ‘57 “Honeycomb” Millers jersey while Shirley enthusiastically sat in the stands letting all know how special he was; a sentiment that never ceased. He was preceded in death by his wife Shirley, parents Carl and Elsie Fahrenkamp, sister Suzanne Snelling and grandson Brandon May. He is survived by his four daughters, each a talented mother, wife and professional in their own right: Denise Stephens (Anthony Wilson), Rene (Terry) May, Michelle (William) Retherford and Nicole (Jay) Giese; as well as 8 grandchildren, which he would likely describe as 3 Varsity football players: Conner May, Dylan Retherford, Alexander Geise; a Rugby star: Savannah May; a gifted artist: Jordan Geise; a future soap opera diva: Mackenzie Geise; a honey badger; Mary Grace Retherford and his business partner and heir apparent at MID Nathan (Alaina) Stephens. In addition, Larry is survived by his sister Ritabeth (Jerry) Baker and his sisters-in-law Sharon (Steve) Vaughn, Sandy (Kenny) Laux, Sara (Bill) Osborne. His inexhaustible zeal for life and challenges inspired everyone around him to reach for more. Regardless of whether you knew him for 45 minutes or 45 years, he left a lasting impression on every person he met, and this third rock from the Sun will be many rotations before it meets another of his kind. Odin awaits at the Gates of Valhalla with a pint of mead for you, Larry! 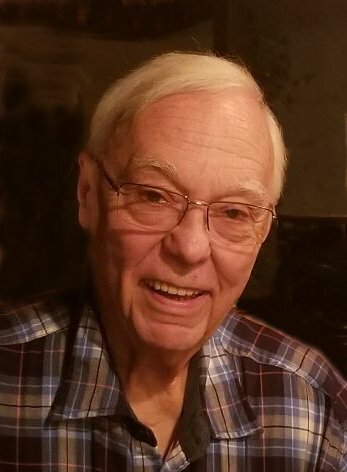 Visitation will be from 4:00 pm to 8:00 pm on Friday, April 12th, 2019 and 10:00 am to 11:00 am Saturday, April 13th, 2019 at Randall & Roberts Funeral Home, 1150 Logan St., in Noblesville. Services will be held at 11:00 am on Saturday, April 13th, 2019 at the funeral home. Burial will be at Crownland Cemetery in Noblesville following services.